PT Telekomunikasi Indonesia Tbk – Telkom Indonesia (IDX:TLKM, NYSE:TLK) or commonly named “Telkom Group/Telkom” is the Country’s largest telecommunication services company headquartered in Bandung West Java. Telkom Indonesia major business is in the field of integrated telecommunications services and networks. Telkom Indonesia operating domestically and abroad. Its business include fixed wire line connections, fixed wireless connections, mobile communications services, networking and interconnection services and Internet and data communication services. Telkom Indonesia also engaged in providing various information, media and edutainment services, including managed services based on cloud and server, e-Commerce, e-Payment services and IT enabler, and other portal services. PT Telekomunikasi Indonesia Tbk is a public listed company which is is majority owned by the Indonesian government. As of December 2016, the Indonesian government holds 52.09% ownership of the Company’s shares. Other 47.91% remaining shares in Telkom Group was owned by Public. 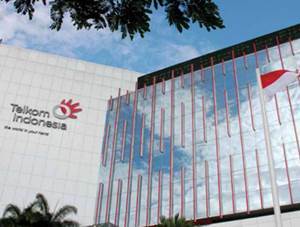 Telkom Indonesia’s operations are divided into 7 regional division offices. These regions gave Telkom Indonesia a total of 58 telecommunication areas and 572 Plasa Telkom spread across Indonesia. In term of financial performance, Telkom Indonesia generally recorded a good performance in 2016. According to PT Telekomunikasi Indonesia Tbk Annual Report 2016 as quoted by JobsCDC.com, Telkom Indonesia booked total revenue of Rp116,333 billion in 2016 or up 13.53% from Rp102,470 billion in 2015. Telkom Indonesia’s total profit experienced growth of 25.11% to Rp29,172 billion in 2016 from Rp23,317 billion in previous year. Maximum age of 27 years old as of 1 January 2018. Required experienced for minimum 2 years in sales marketing IT Solution (evidenced by referral / recommendation letter) and able to handle corporate customers. Education background in Bachelor or Master Degree (S1 or S2), majoring in Business / Management / Marketing, Industrial Engineering, Informatics Engineering, Telecommunication Engineering, Economics, Communication, Psychology.